Until recently, analysis of the future was left to forecasters and trend experts. Today, however, designers and architects are playing an increasingly important role, creating products and environments that will change the way we live. Design Futures is a thought-provoking exploration of the radical directions that the creative industries are taking. 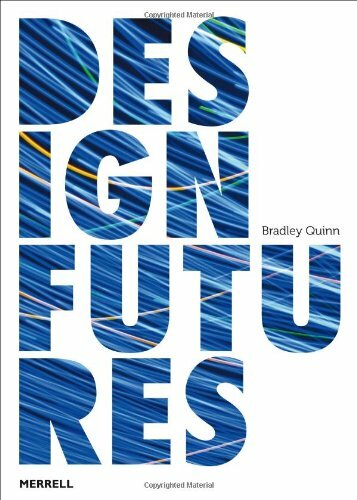 Design expert Bradley Quinn reveals how a new generation of products, materials and surfaces will align design with such areas as artificial intelligence, genetic engineering and nanotechnology, reinventing the spaces in which we live and work, and how we experience the human body. Featuring interviews with renowned designers, architects and trend forecasters - among them Karim Rashid, Toyo Ito and Li Edelkoort - and over 250 illustrations of futuristic products and concepts, this is a unique guide to some of the twenty-first century's most compelling ideas. Bradley Quinn is a London-based writer and journalist who regularly contributes to such magazines and newspapers as Wallpaper*, Elle Decoration, Blueprint and the Evening Standard, as well as to trend- forecasting guides. His books include Ultra Materials: How Materials Innovation is Changing the World (2007) and Textile Designers at the Cutting Edge (2009).